The place to find cherished registrations on the Web is right here! We have in excess of 27 million unique cherished registration marks to offer you here on our website, the majority of which are very reasonably priced, plus a further 25 million available on request. Each day hundreds of number plate sellers place their registrations for sale with us because they recognise the fact that we are the authority and experts on such matters. As well as the many different types of number plates we have for sale we also have many useful resources for the enthusiast or present cherished plate owners. We have a plate valuation department you can reach by completing our online forms click here and we have a comprehensive Frequently Asked Questions Section which you can take a look through . 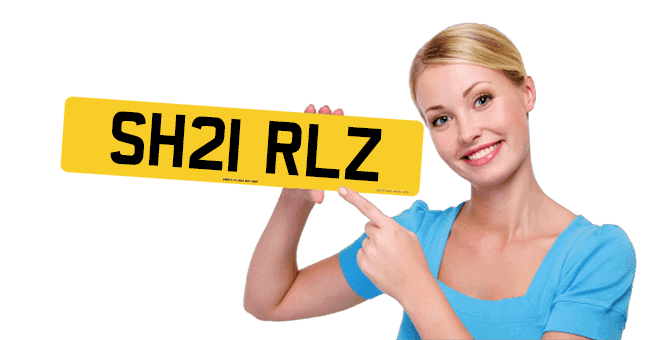 Our aim is to make finding and owning a cherished numberplate a simple, inexpensive and highly enjoyable experience so that our buyers and sellers are happy. Just use the "Find Number Plates" link at the top of this page to find your ideal cherished registrations.